Bonita Bay is an award-winning community known for being responsible, environmentally friendly, beautifully landscaped and filled with outstanding real estate options for interested homebuyers. Local residents enjoy a fabulous lifestyle with more than 1400 acres of open space, lakes and nature preserves where they can indulge in biking, hiking and various outdoor recreation. 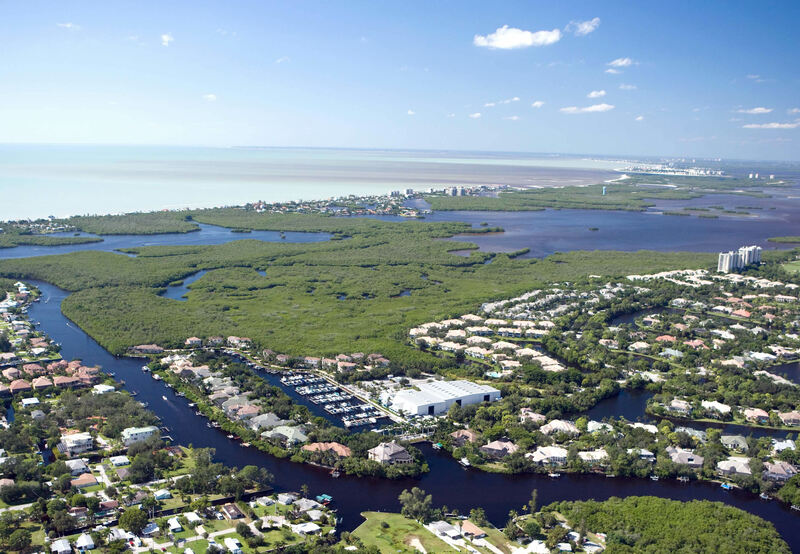 Visitors to the area are mesmerized by the beautiful atmosphere, the friendly neighbors, the wildlife that makes its home in Bonita Bay and often times visitors are so enthralled with the community that they commit to being full time residents. Buying a home in Bonita Bay, or any other location, will most likely be the biggest and most important financial decision you will ever make. These decisions should not be made lightly and you should never go about representing yourself in a real estate transaction. The industry can be tricky for those who are unfamiliar with the lingo, the laws and the overall process of buying and selling properties. There are so many real estate agents to choose from and it can be hard to make a decision when you are constantly being bombarded by referrals and advertisements. It’s true that all real estate agents go through the same training process, real estate courses and they all acquire experience. This however does not mean that all agents are created equal. There are certain qualities you need to look for in an agent before you hire them to represent you in a real estate transaction. You wouldn’t hire a European realtor to sell you property in the United States would you? Your new home will be a long-term investment and you want to make sure that you pick the right one. A good realtor will be passionate about the area they represent and be able to tell you about all the top attractions as well as the little hole-in-the-wall gems that only locals know about. A realtor’s passion and enthusiasm should be infectious so they can connect with clients and show them all the best that the area has to offer. You will spend a lot of time with your realtor trudging from one open house to another. This is why it is very important to feel comfortable with your realtor and to be able to openly communicate with and trust your agent. Trust is the basis of any relationship and your realtor needs to earn your trust by being completely honest, available and reliable. Being a realtor is a 24/7 gig and your agent should be available to address all of your concerns and answer all of your questions at any given moment. This should be a given. When interviewing potential real estate agents ask for proof of a license in the state that they are selling you property. Don’t hesitate to ask for testimonials from previous clients. Also look for an agent with some experience in the industry and in the area you are interested in purchasing property. Wisdom and knowledge come with experience, and seasoned realtors are more likely to be tough negotiators who will fight for the price you are looking for. Our team at DNA Florida Real Estate offers more than 40 collective years of experience and successful real estate transactions. Clients hire real estate professionals to represent them in big financial transactions and they expect to get what they pay for in commission. It’s important to find a professional realtor who is not afraid to ask for what the client wants. An agent should not be afraid to negotiate for lower prices, concessions towards repairs or amenities. A good agent should also be familiar with the ever-changing trends in the real estate industry. Your realtor should be able to efficiently explain current market trends and how they will affect your transaction. There is a lot of paperwork that goes into a real estate transaction and you need to work with a realtor who is organized and can keep track of your business as well as that of his or her other clients. Your realtor needs to be able to keep track of your needs, your budget, meeting times, open houses, deadlines and so much more. In the business of real estate it is also important to be friendly, outgoing and good at networking. When you work with a good realtor you will find that he or she has a wide network of individuals who can help you with all aspects of being a homebuyer. A well-connected realtor is liked, successful and outgoing and will be able to market a property to more people. As a client you will be looking for different characteristics in your realtor, but the qualities listed above are some that you don’t want to overlook. At DNA Florida Real Estate our agents go above and beyond client expectations. We offer the best Bonita Bay real estate and a seamless and efficient real estate transaction. Connect with us today to learn more about our services, our listings and more information about the beautiful Bonita Bay.